The Poetry Shooting Club was started as a private shooting club in the spring of 2011 as a place for family members, friends and guests to come shoot rifles and clay pigeons for fun and family gatherings. The location has been in the family of the founder and manager Walter Patton for over 60 years and has been a place for precision shooting, wild quail, duck and dove hunting for family members. In the spring of 2011 the Poetry Shooting Club opened for business as a Shooting Range and Quail Hunting Preserve licensed by the State of Texas as a “Private Bird Hunting Area” and ” Game Bird Breeder” also offering day hunting leases for duck, dove, whitetail deer and a 700 yard range. In the summer of 2013 improvements were made to establish the 700 yard shooting range for rifles and pistol precision shooting. 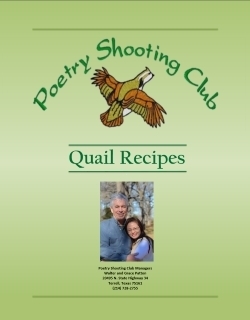 THE Poetry Shooting Club offers Quail Hunting and Bird Dog Training Facilities on a year round basis. The club is licensed by the Texas Parks and Wildlife Department as a “Private Bird Hunting Area” and a “Game Bird Breeder” which allows for the use of live pen raised Bob White Quail for bird dog training and Quail Hunting any time and without limits. The Poetry Shooting Club wants to serve the Bird Dog Owners and Upland Game Hunters who want to experience the surprise and unending excitement of quail hunting in Northeast Texas. 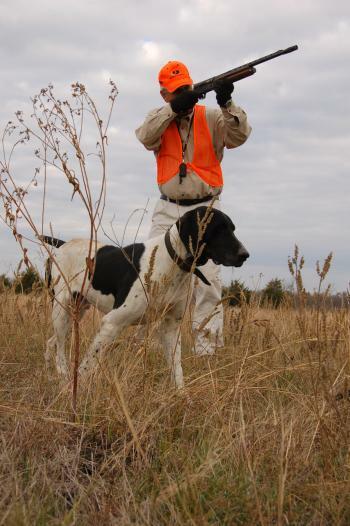 Other hunting opportunities in season are duck hunting, dove hunting and whitetail deer hunting. Offered throughout the year is pig-varmint hunting and a 700 yard shooting range for use with rifles and pistols of all sizes along with clay pigeon shooting. 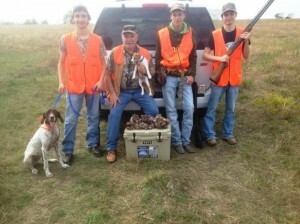 We are dedicated to teaching young hunters and shooters the excitement of shooting, hunting the outdoors. Poetry Shooting Club is a private membership club offering a 700 yard range and Quail Hunting Preserve located 35 mile east of Dallas, Texas and 8 miles north of Terrell, Texas off Highway 34 in the community of Poetry, Texas in northern Kaufman County. Educational and precision shooting encouraged. We notify you when special events are held, special discounts are available, and more! Poetry Shooting Club L.L.C. © 2013 All Rights Reserved.